The reality often looks more like this: big knotty pieces with grain running three different directions, too big to go in the furnace as-is even if you cut them thin like this. Get any angle you want, and you’ll still be hacking at them for a while to crack them. The brush frozen into the snowy ground around your feet adds a bit more challenge. It’s a good workout, though. Nothing like sweating through your shirt, sweater, and jacket when it’s 20 degrees outside. In case anyone wonders: yes, that’s actually a maul, not an ax. 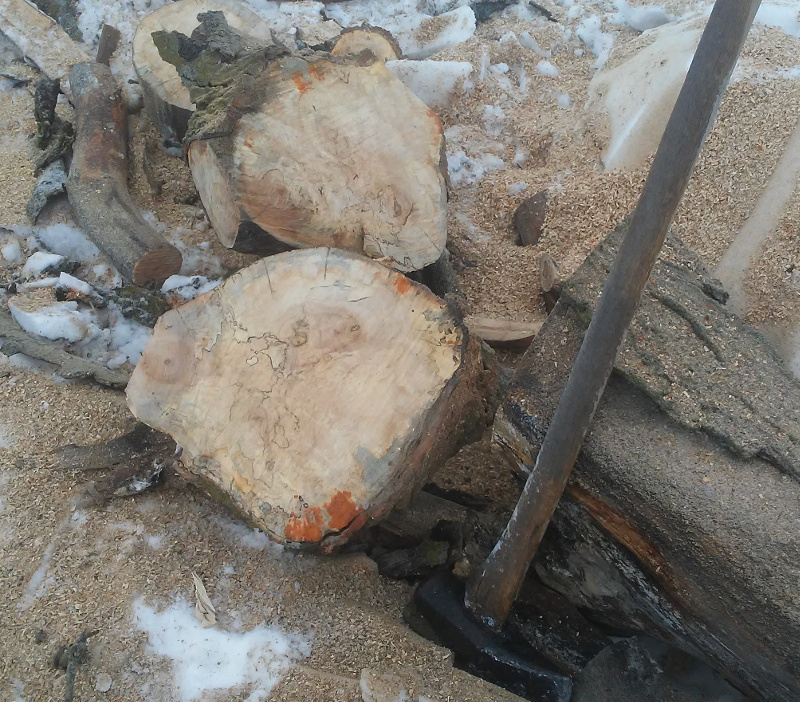 A narrower splitting ax goes through lighter stuff better, but it tends to get stuck in wood like this. This 6-pound maul delivers a better blow when you’re really trying to crack it more than split it. That’s how it seems to me, anyway.